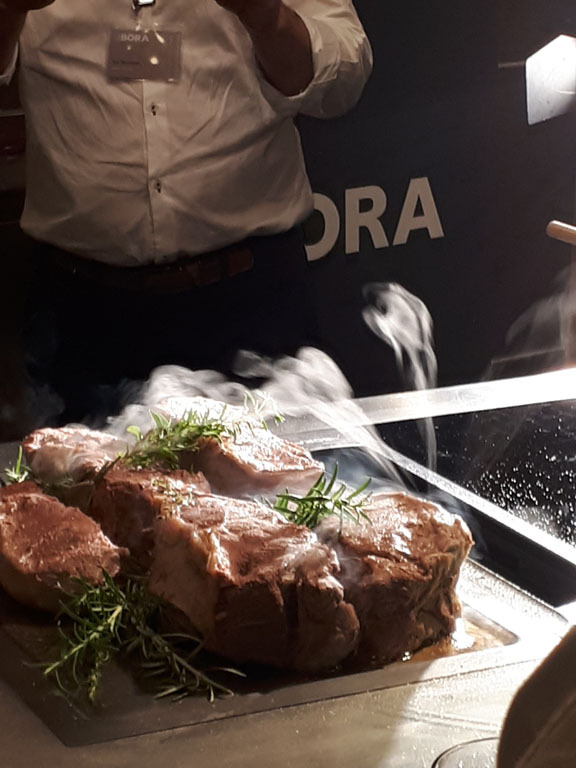 Jane King and Richard McGee, two Senior Designers from McCarron & Co were invited to spend two days at the headquarters of BORA Cooktops, the German company that has a number of innovative extraction systems that can transform kitchen design. We travelled through the picturesque Bavarian countryside to arrive in the unassuming town of Raubling which has BORA at the heart of it. 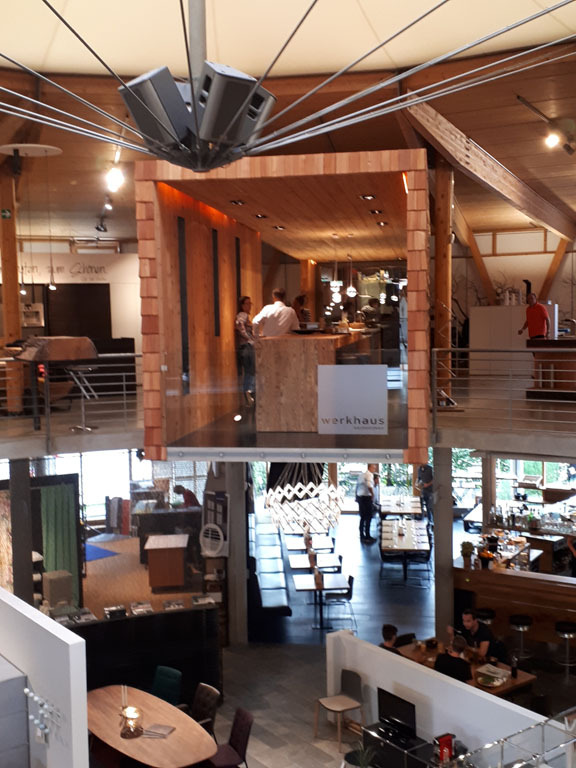 The BORA offices, training centre and stunning circular ‘Werkhaus’ where Willi Bruckbauer dreamt up the concept of the BORA was our base for two days. 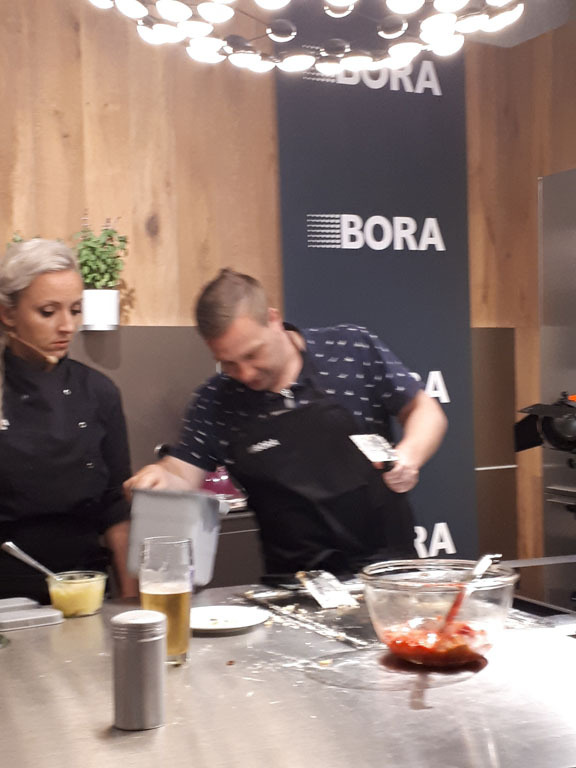 Fuelled by excellent German hospitality we had thorough and informative training from the team to help us understand the efficiency, quality and benefits of their ground breaking products – BORA Professional, Classic and Basic. I now realise BORA’s extraction system is a true revolution in the world of kitchen design, and as they say ‘innovation not imitation’. The evening of watching (and partaking in cooking too!) while stood in the Werkhaus with a glass or two of wine or beer truly brought it home how fantastic the BORA cooktops and extractors are. On our last day we met Willi Bruckbauer who further inspired us with understated tales of the beginnings of BORA right up to his vision for the future, which sounds very exciting. This is a brand to watch out for and I am excited to promote it and to show and tell my clients about the benefits of BORA. And I want one in my home! Jane and Richard would both welcome the opportunity to talk to you about your kitchen projects and certainly how a product such as one from BORA can be seamlessly integrated into the bespoke furniture design from McCarron & Co. Jane is based at our Wiltshire showroom and Richard works from the Notting Hill showroom.